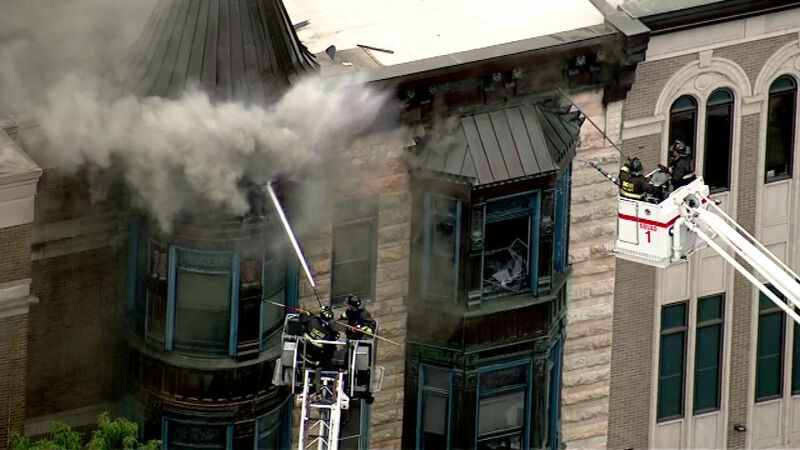 Crews battle a fire in the city's Old Town neighborhood. 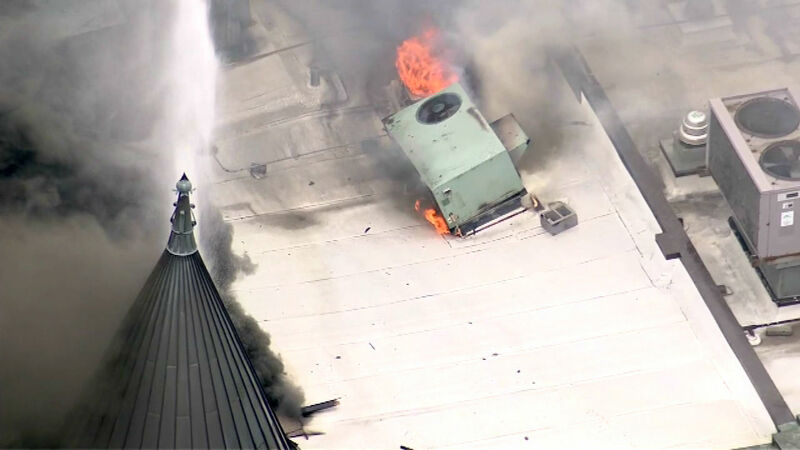 CHICAGO (WLS) -- The Second City Comedy Theater, which was partially destroyed last week by a fire, is moving closer to recovery. Classes are scheduled to resume Wednesday night, but in different locations. The classes will be held downtown at Columbia College and Tribeca Flashpoint College. "The Second City has been a great partner to us in recent years, and we are only too pleased to help them out as they recover and rebuild from this tragic event," said Todd Steele, CEO of Tribeca Flashpoint College. The Aug. 26 fire destroyed part of the Piper's Alley complex in Chicago's Old Town neighborhood, including the Second City offices. Fire crews are on the scene of a fire in the city's Old Town neighborhood. Officials said a grease fire broke out around 12:42 p.m. in the kitchen of Adobo Grill, which is located in the 1600-block of North Wells Street. The restaurant occupies the first floor of the 100-year-old building. After the fire was extinguished, building inspectors said the main stage area was virtually untouched. But Second City needed more time to make further repairs and clean up the performance space. The theater will be closed at least through the end of the week. All performances from this past Monday through Sunday have been canceled. Theater officials said they hope shows will begin again on Monday. Second City is still hoping to resume operations next week and plan to send out an updated schedule Thursday afternoon.